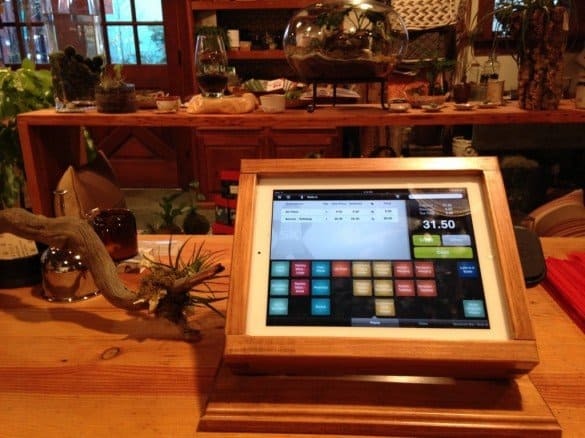 Editor's Note: This thorough and amazing guide to iPad POS systems is a guest post by my brother, Jesse Waldman. 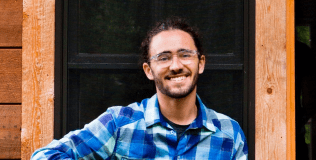 Apparently the Cloud Coach genes run in the family: Jesse has helped bring Pistils Nursery into the 21st century by introducing a beautiful online store and an iPad POS system. Last summer, I began working at a small plant nursery in my neighborhood in Portland, Oregon called Pistils. 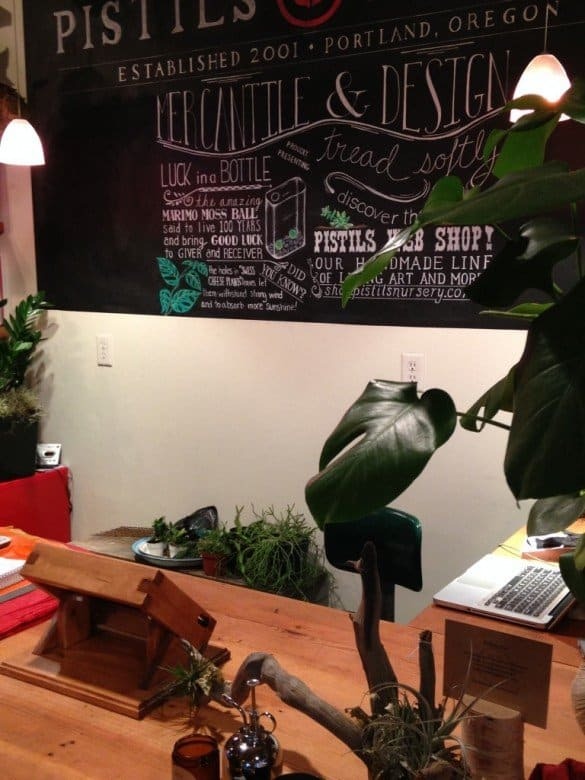 Pistils Nursery is a bit legendary in Portland; offering a carefully curated selection of indoor and outdoor plants, terrariums and other locally-made wares, Pistils was also at the forefront of Portland's now-burgeoning urban agriculture movement. As an iPhone-toting, social media-savvy millennial, I saw when I began working that–from a technology perspective–the business was missing out on an immense opportunity for growth and development. Retail operations looked pretty much as they did in 2001 when the business opened, before the days of smartphones, laptops and mobile point of sale systems. No inventory was kept of the store. Employee hours were jotted down on a paper calendar. An analog register logged sales in 6 or 7 broad categories. Totals were jotted down in a paper ledger book at the close of each day (along with the weather). When I proposed upgrading the business to an iPad-based Point of Sale System, the owners of the business were highly receptive and tasked me with finding and implementing the most cost-effective, user friendly and adaptable system. Upgrading your business to harness mobile technology has a myriad of benefits. Here are a few of the selling points that convinced Pistils to go for it. An elegant, user-friendly customer interaction. 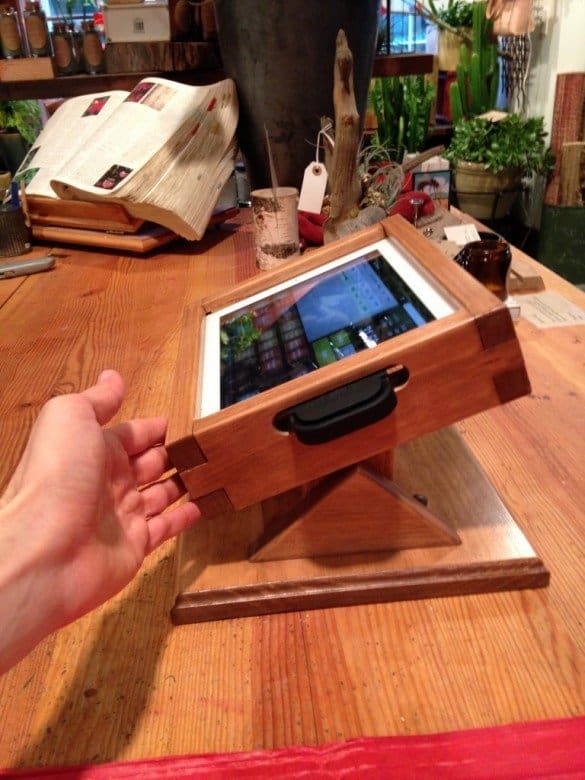 The iPad is housed in a custom-built wooden stand that swivels to the customer for them to sign credit card receipts. Customers choose whether they want a receipt printed, emailed, or not at all. Inventory tracking, Up-to-the-minute sales tracking, and Data-driven Sales Reports from the “back office”. The possibilities are endless. We instantly check our inventory, track real-time sales, and access detailed analytics about what is selling and when, all from the cloud. It's accessible from any computer with an internet connection. Employees can clock in and out at the start and close of shifts. Makes hours-reporting a breeze. Did I mention, it looks awesome? Seriously, people love using iPads. They gravitate towards the register. It is a beautiful addition to the store that customers want to interact with. Although Square is somewhat ubiquitous these days in cafes and food carts, it is not the only mobile point of sales model available. There are TONS. I found in my research that there are two basic POS models. You probably know that a business is charged a fee for each credit card swipe. 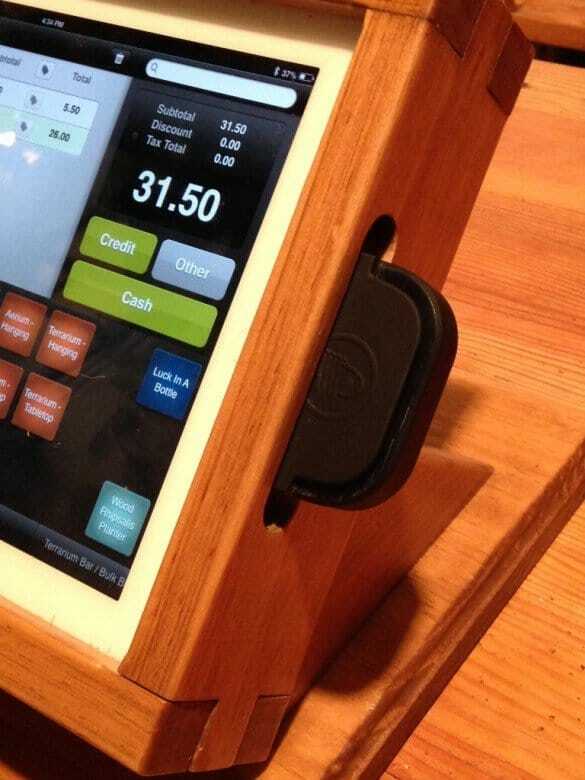 The main difference in the two models of mobile POS is who gets that money. Square, Paypal Mobile and Intuit Go-Payment offer this model, in which the credit card processor (the person you pay that fee to for each credit card you swipe) supplies you with a free reader, and free software, and you pay them to process your credit card transactions (hence, the monopoly). This simplicity is perfect for many small businesses. This model is straightforward and perhaps easier to get set up. The accounts are free, the mobile apps are free, the reader is free, and the fee structure is based on a flat rate – between 2.7% and 2.75% per swipe, with a few variations based on the volume of your business. Sounds great, right? Read on. ShopKeep, NCR Silver, and Vend (to name a few of many) offer this model, in which your business pays a monthly software licence fee (anywhere from $30-$90/mo, depending on your business needs) to use the POS software. Meanwhile, you get to partner with a traditional credit card processor. In this model, the companies providing the software and hardware, and the company to whom you are paying your credit card fees are separate. Traditional card processors have more complicated fee structures for transactions. To fully understand whether or not this model will save your business money we have to go a little further in depth. In both models, a portion of what you pay goes directly to the credit card company like Visa or Mastercard. That is called an “interchange fee.” Square, Paypal and other “Monopoly Model” POS companies work this cost into their flat rate. A traditional processor, on the other hand, assesses your business volume, and average transaction size and determines a custom rate, something like .25% + $.06 per transaction. There is a lot of leverage here, and you can negotiate with the credit card processors to get a better deal, as there is a ton of competition. 1) At the end of the day, it saves our business money. Monopoly model POS systems makes sense if your average transaction size is low, which is why you see Square so often in coffee shops, food carts, and the like. However, our average transaction is about $30. Suddenly, %2.75 becomes a sizable chunk. When you factor in the interchange fee and the processor fee, we pay just about %2.25 per transaction by sticking with our traditional processor. The difference might not seem huge, but for a small business operating on tight margins, it is. 2) Another perk of the monthly software licence fee is better software. Shopkeep and the like offer more in-depth analytics, and more options for customization than the Monopoly model POS systems. Plus, ours offers 7-days-a-week support. As one of the few tech-savvy employees at my business, it's extremely important for the other folks to be able to get someone on the phone right then and there if they are having problems. So far, this has been very easy, and the support has been is really valuable for our business. We opted for ShopKeep POS, because it seemed to best fit the needs of our business. We wanted a system that would allow Inventory tracking, an elegant customer experience, the ability to build a customer base by capturing email addresses. We wanted simplicity, with the flexibility to get more complicated later. ShopKeep offered all of this, and to top it off, they were extremely friendly, accessible, and helpful getting everything set up. Their subscription falls somewhere in the middle of the price range — $49/month. The analytics and reports are exciting — we've started posting them weekly so that employees know what's selling, and so that we can set daily goals and targets. The owners of the business couldn't be more excited to be finally seeing their costs and margins in real time, and are learning some surprising facts about what generates the most profit in the business. It's a whole new world from the days of the ledger book and the 6 broad sales categories. Plus, they have tech support available 7 days a week, which is really helpful. Apparently, if you need tech support from Square, you first need to tweet at them. This wouldn't fly at Pistils. Would I do it differently if I had to start over? No, but there are certainly features that ShopKeep doesn’t have, and things that I wish were a bit more intuitive. For example, there isn’t an elegant way to view and sort your entire store inventory (apparently this feature is in the works). Also, there are a few analytics charts that seem like a no-brainer (for example, sales by day in a line graph) which aren’t available, though they are easy enough to create manually with the data. Aside from choosing your provider, there are a few other pieces to the puzzle. Your provider will either send you this for free (if you opt for a monopoly model service) or they will tell you which one to buy. We use the iDynamo, which we were required to purchase through ShopKeep. We chose a custom wooden stand, as it matches the aesthetic of our business. There are a zillion options out there, and some are quite pricy. The most important factors for us were that the stand look great (it does), be secure (it bolts to our counter), and be interactive (it rotates so that the customer can sign receipts and see images). We found ours on Etsy. Your provider will probably recommend one, but we opted for the APG Vasario 1616 (shop around — you can find these for way below MSRP). We found ours on Amazon. We went bluetooth and haven't looked back. The Star Micronics 605ii was the most expensive piece of the puzzle, but it's fast, quiet and reliable (unless you’re running Spotify to bluetooth speakers. We learned that lesson). We opted for bluetooth because it was easier than running an ethernet line from our router, because of the way the store is laid out. And, of course, an iPad: Believe it or not, the iPad 2 does everything you need, though you can certainly get the most recent version if you so desire. We got one used for quite cheap at our local apple store. We're about three months in with our new system, and it's totally changed the business. There are certainly features we wish that ShopKeep had (like more intuitive inventory browsing), and pieces still left to figure out (like how integrate the costs and margins of our plants without creating a separate item listing for each variety – an impossible task), but all in all, everyone is happy with the decision we made. The best part is that–literally every day we’re open–customers complement the system. They love how it looks and works. Returning customers love being able to find their name in our database and have us email a receipt. Pistils has entered the digital age. Whether your business decides to is up to you.